Your financial support can make a real difference in the life of a horse that is suffering! Thank you for your financial donation, you support is crucial to our success. To donate, fill out the form and press "Donate now," or you may donate by Paypal by pressing the button above. (Note: when using Paypal button, click or press on the $0.00 to enter your donation amount. 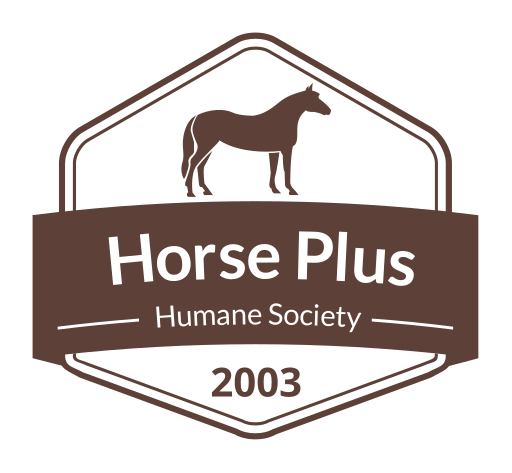 Horse Plus Humane Society is a 501(c)(3) nonprofit animal welfare organization, tax ID #20-1156396. All donations are 100% tax deductible as allowed by law. When you join our free email list you will receive amazing updates of horse rescue missions, new horses looking for homes, adoption stories and more that you will not want to miss!